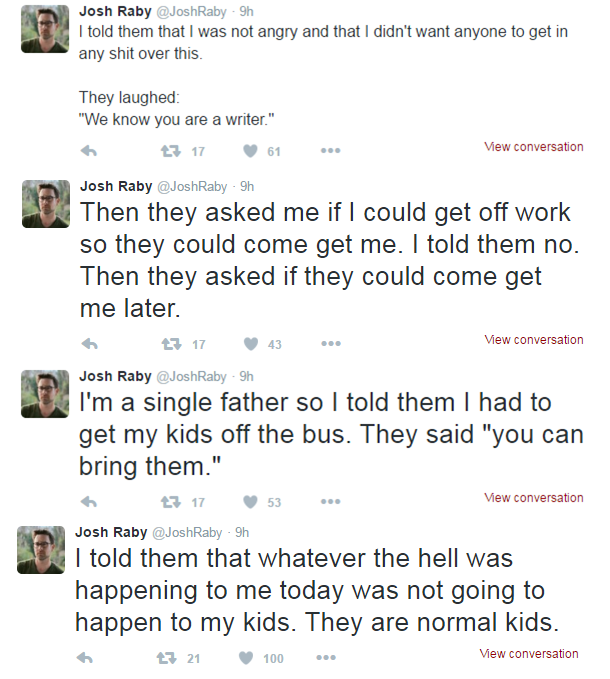 Oh, how I love Twitter. Embarrassing experiences, like unfortunate bathroom incidents during a first date, are now shared for the entire world to see…and for others to react to. 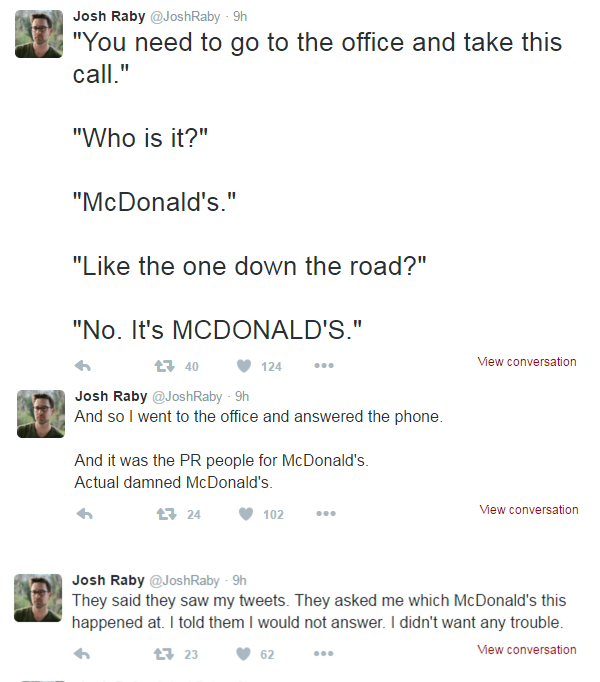 On April 11, Nashville-based director and writer Josh Raby shared a bizarre 1AM McDonald’s adventure for a milkshake via Twitter. 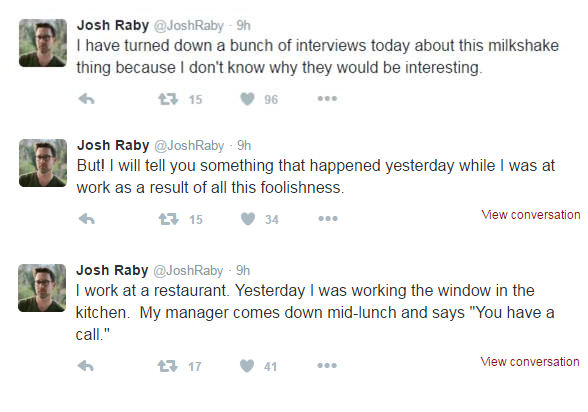 While the original story is hilarious, and unfortunately made up (check out Buzzfeed for context), it’s Josh’s tweets on April 12 that = a #PRWIN for the McDonald’s PR team. Read on to find out why. So to everyone on the McDonalds PR team, we’re hiring!